Sennheiser HD25-1 II has gained much attention over the past few months among professionals all around the world. 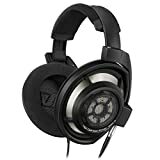 Sennheiser HD25-1 II can be considered as a pair of headphones that is ideal for mobile monitoring because of its light weight and one ear listening feature. It is an all-purpose designed product, which has the ability to deliver an effective mobile monitoring experience by providing high attenuation of the background noise. The best thing about Sennheiser HD25-1 II is its robust construction. Since it has the ability to operate in loud environments, it has the ability to handle sound at very high pressure levels. Therefore, many people prefer to use these headphones for audio equipment testing, studio monitoring, sound reinforcement and ENG. Read this article to know more information about this product. Portable and light weight design. Has the ability to handle sound at very high pressure levels. The solid construction is durable. Perfect sound isolation that becomes useful in many professional applications. Treble can be unnatural and aggressive at times. 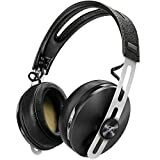 Sennheiser HD25-1 II offers an excellent sound quality to the consumers in a rugged design. These headphones are specifically designed to be used in loud environments. An excellent noise isolation is provided through the adjustable and split style padded headband. Moreover, the cushioned ear cups can cater all your comfort requirements. Unlike other Sennheiser headphones, you can experience an extra wide frequency response from the HD25-1 II. It is because they have introduced a large neodymium magnet to this product. The frequency range is from 16 kHz to 22 kHz. You can also go for single ear monitoring if needed. It is easy to switch between these two modes and you just need to rotate the capsule. All the operating instructions are provided along with the package for the convenience of users. You just need to follow them in order to understand the basics of operating these headphones. Moreover, these headphones deliver impedance of 70 Ohms at a sensitivity of 120dB. Sennheiser HD25-1 II come with a detachable steel cable. This has enhanced the durability of the product. The package comes along with spare ear pads, ¼ “adapter and a carry pouch. Sennheiser has given a two year warranty period for these headphones, so there’s nothing to lose by purchasing it. It is marked at an affordable price tag as well. When you go through the customer reviews, you would feel like getting a one for yourself. Sennheiser HD25-1 II has gained much attention over the past few months among professionals all around the world. According to the customer reviews, it is clear that this is a top selling headphones among DJs and cameramen. The in-built features are ideal for all the people who are looking a great pair of headphones that can isolate noise. In other words, if you need the best quality audio in a lightweight and tough package, you can think of purchasing Sennheiser HD25-1 II.